Chinese animation wintnessed a golden era in the late 1950s and 1980s, during which period many outstanding animations were produced.Here we pick the top 10 classic Chinese animations from the last century. Let's take a look back at them and review those colorful images that brought us great joy and touched our heart in our childhood. 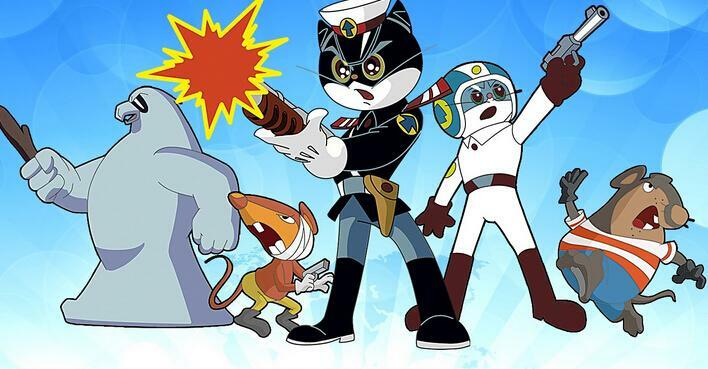 Sergeant Black Cat is an animated TV series created by Shanghai Animation Film Studio in 1984, popular among post-80s children. Its first run consisted of five episodes, the success of which prompted CCTV to create and release 12 more episodes in 1993.